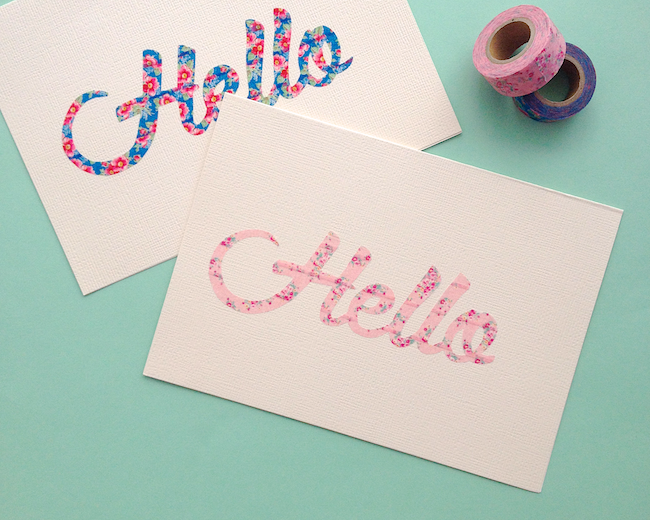 Looking for a lovely way to say hello? 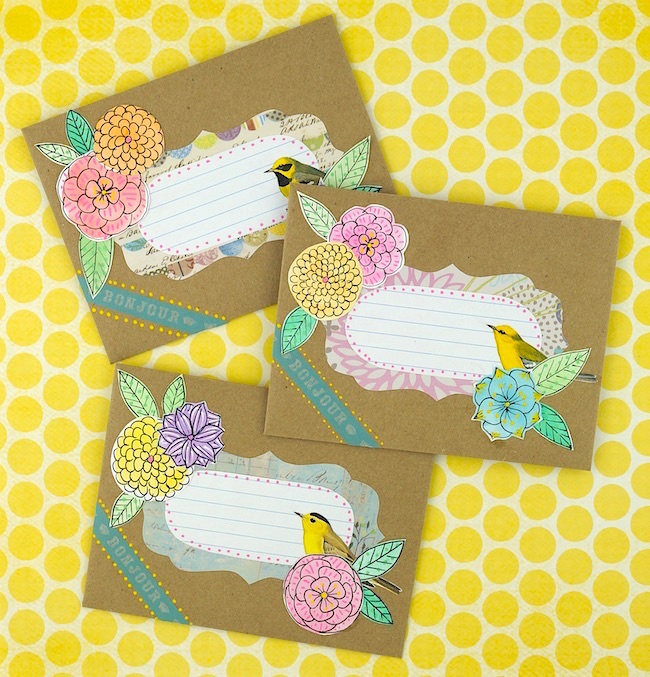 A sweet floral script card is perfect for sending Spring greetings! You'll need a bit of patience to cut and stick the washi appliqué onto your card, but I think it's well worth it. 1. Start by selecting the word and font you want to use. A simple script which is a little bit chunky is perfect. You also want a few good loops in there, but nothing too fancy - you do have to cut it out and transfer the tape onto a card. 2. Once you've found the perfect font (I chose this one), type out your word and size it to match the size of your card (this is 250pt on a 5x7" card). Print out a mirror image copy of the word. 3. 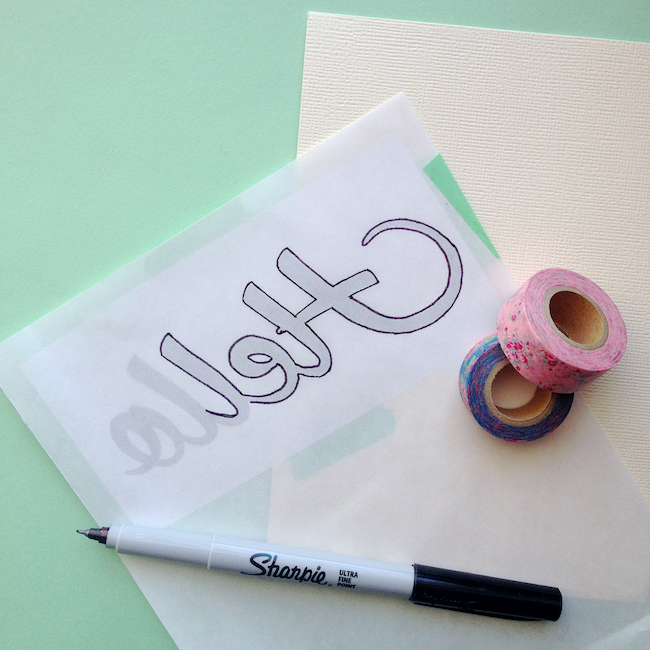 Place word face down on a piece of parchment paper or waxed paper and tape into place. 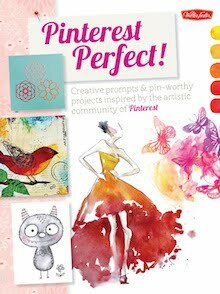 If there is a side of the paper you prefer to use for creating washi tape appliqués, you want the word to be taped onto that side. 4. Flip the piece of paper over and trace around the word with a fine marker. Remove print out and set aside. 5. 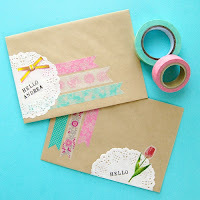 Cover the right side of the paper (side that you haven't written on) with strips of overlapping washi tape. Start from the bottom and work your way up, ensuring that you match up the pattern where possible and that strips overlap slightly. 6. Using scissors, carefully cut around the traced outline of the word. 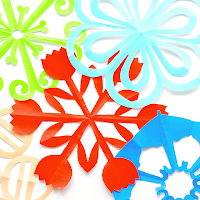 Once the outline is complete, use a craft knife to cut out any enclosed spaces or other delicate spots. 7. 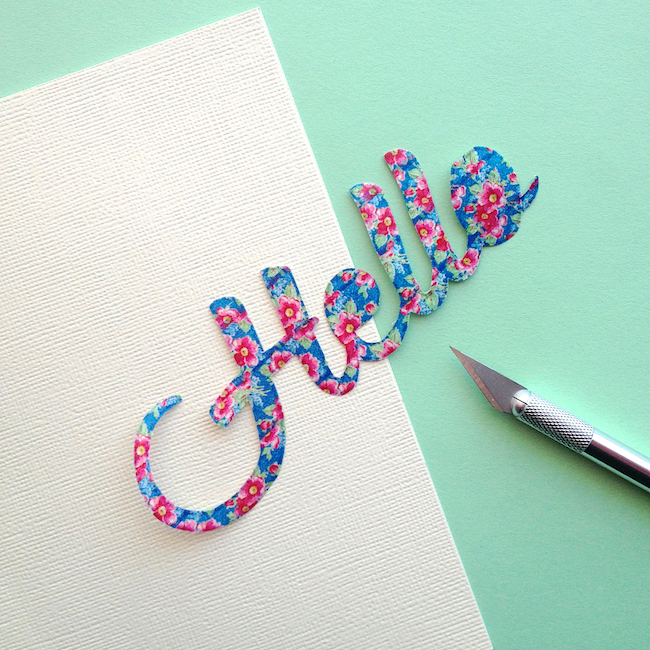 When your washi word is fully cut out, it's time to apply it to your card. Starting from the bottom left, very carefully peel the word off of the paper backing and stick to the front of the desired card. You can peel off the entire word in one go, or slowly peel and stick one letter at a time until the entire word is on the front of the card. Make sure to always peel in the direction from the bottommost strip to the topmost to ensure that the strips do not come apart. What would your cards say? Thanks Clarissa! Would love to see your version. This is just lovely! 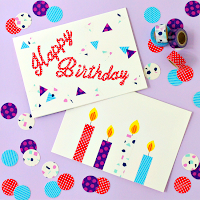 And I really love that blue washi tape. Thanks Alexis. Me too - one of my current faves! SO nice. Doing a first name this way would be fun... then I'd frame it! Thanks Ann - creating a name would be lovely! Thanks Sabine - it really is! May I suggest that it is easier to cut out the enclosed spaces before you cut out the main outline? I make my own cut out letters for cards etc and have found it to be so. Really cute but simple - love it. :) Pinning!! Thanks Lauren, glad you like it! such a cute idea! going to try this out one day! Thanks Lauren - hope you do! Glad you like the project. Would love to see yours! I'm going to HAVE to make one of these for my pen pal. 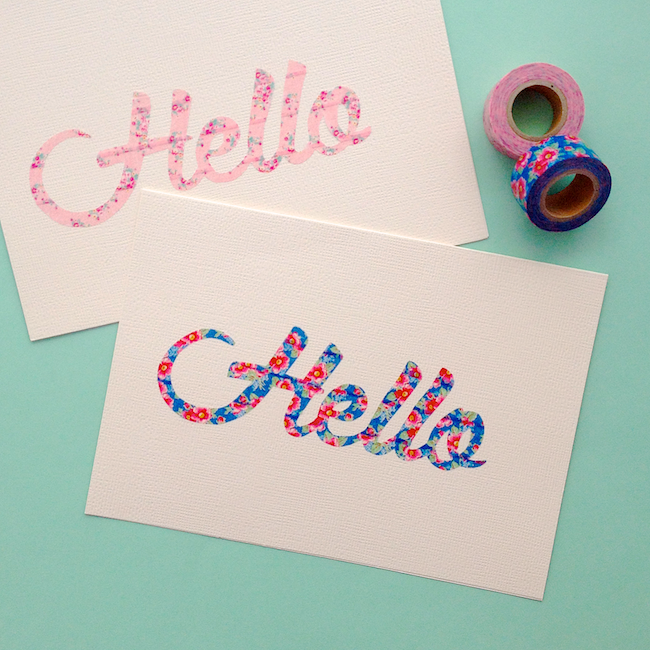 We are washi tape obsessed so this is perfect. Thanks for the tuto! 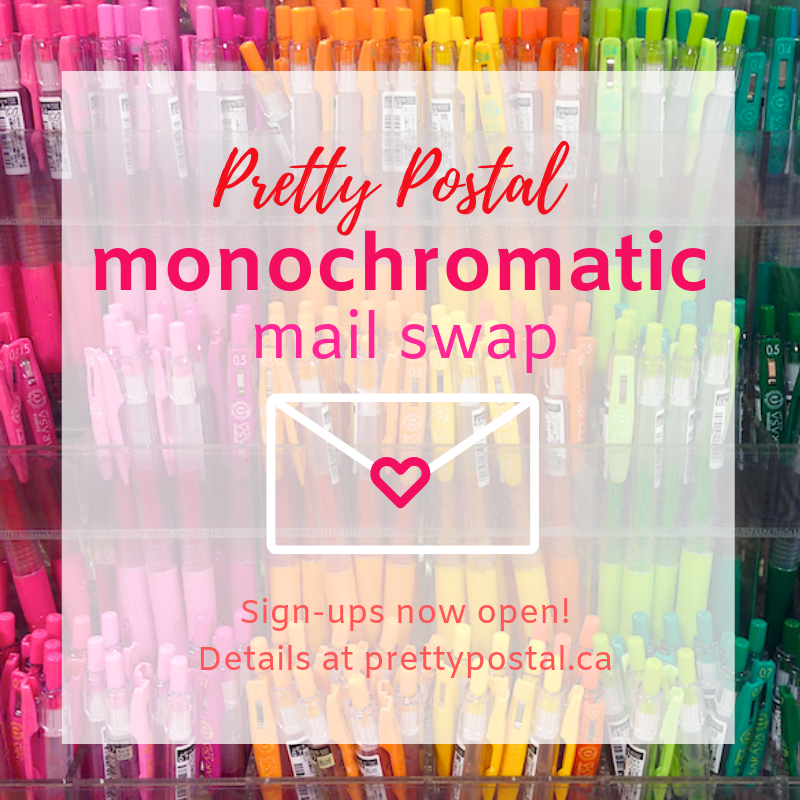 Hurray for pen pals! 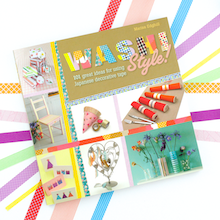 The perfect project for washi lovers. Have fun! 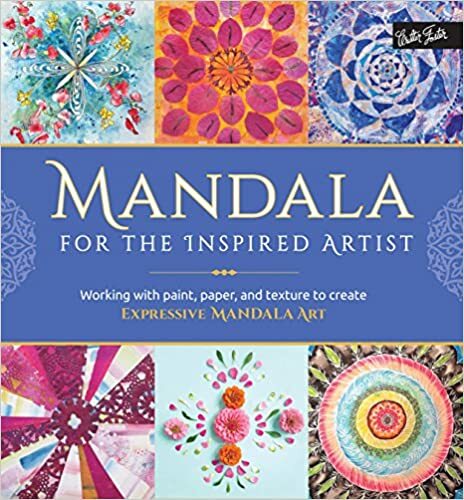 Would it be easier to print on vellum and skip the sharpie step? It's worth a try! Would love to hear back from you whether it works! Thanks so much - so sweet of you to say! What a great idea! Can't wait to try it! 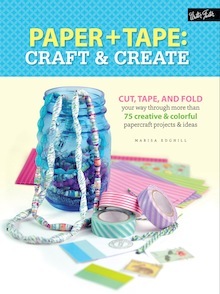 This would work wonderfully with digital washi tape! Then you wouldn't even have the overlap marks and most of the work would be done on the computer. 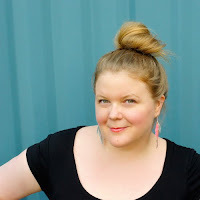 Perhaps - never tried digital washi tape. 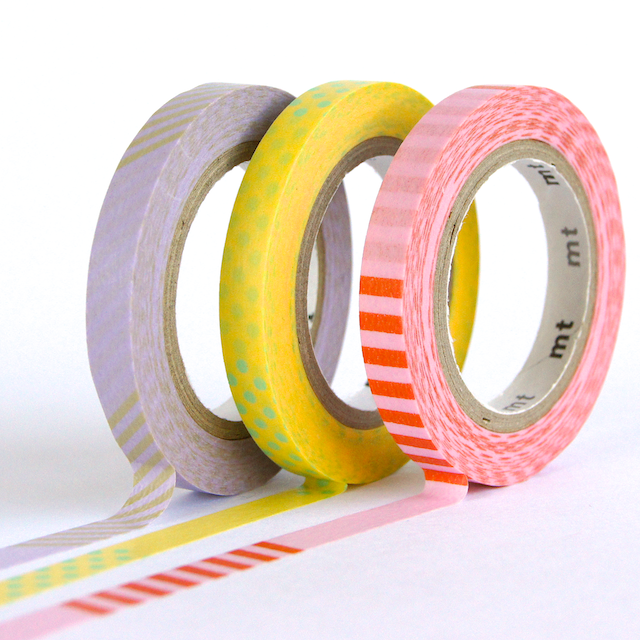 Our main focus is helping people use their washi tape collections in new and interesting ways! I love the colours and Basic Grey and the prize!!!! Genius! Love this tutorial, thank you! I have tried clicking the link to the font type to discover the name unsuccessfully. could anyone please help by telling me the name? This was so cute! I used the technique to make my girls' names for their water bottles - they're in love - thank you! Wow! 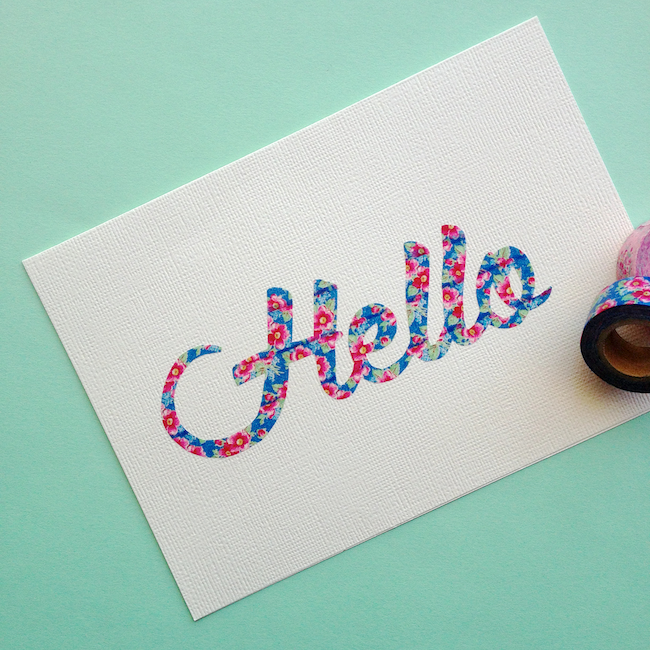 I want to make a floral script card! Thank you for sharing! I will write about your cards in my essay 99papers next month. I think more people have to know and see it! What Font did you use? it's super Cute and I want to use it on my cards too.